Notes: Granso Slott (Granso Castle) is a castle located near Vastervik, Sweden. The site dates back to the medieval ages. 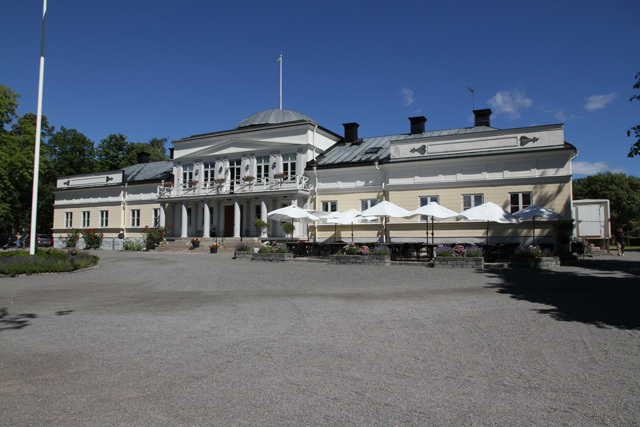 The original castle consisted of a main hall made in wood, which was built in 1807 by Olof Johan Risselskiold. The castle was extended many times during the 19th century. In 1992, the castle was subject to an extensive renovation. In 1993, when the renovation was nearly finished, a devastating fire destroyed the whole building. The castle was rebuilt again in 1994, in only four months. Today, the castle is a part of a privately owned resort. Many different activities (including festivals and concerts) are held within the castle gardens..